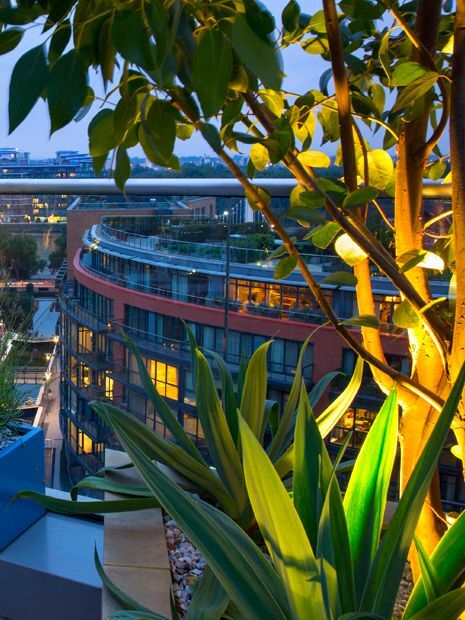 While countless front gardens are continually converted into off-street parking, back garden spaces reduced with office rooms, street trees uprooted to make way for cycle lanes, and an unparalleled need for housing, our city roof terraces fulfil greater capacities in greening up dense urban landscapes. Architectural, multilayered, well-drained and with panoramic views, London's sky-high gardens perform verdant tasks efficiently, and although at times logistically challenging, these soaring outdoor spaces are fast becoming mainstream horticulture – paramount in sustaining a leafy urbanity within a new citified modus vivendi, where living aloft in a much greener environment defines an engaging, and highly enduring, roof terrace lifestyle. 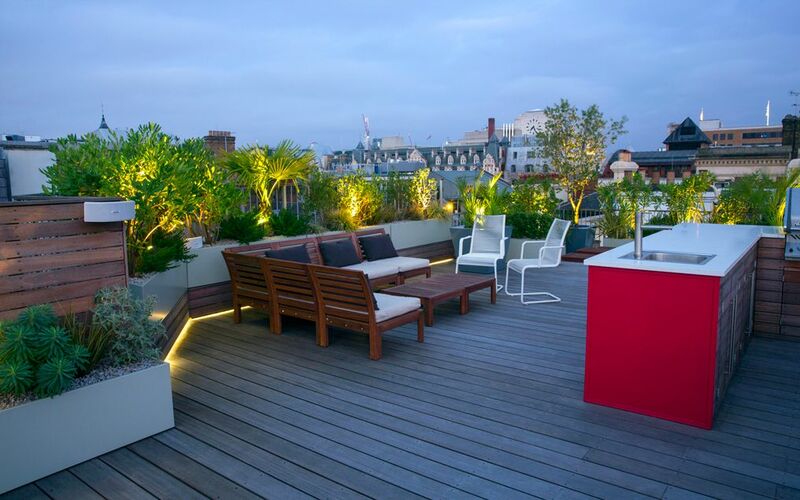 The choice between garden, roof terrace or country living forms a universal trilemma, yet seemingly, city terraces' standout, skyward ambience and proximate amenities to boot resolve this conundrum elegantly and rather increasingly. 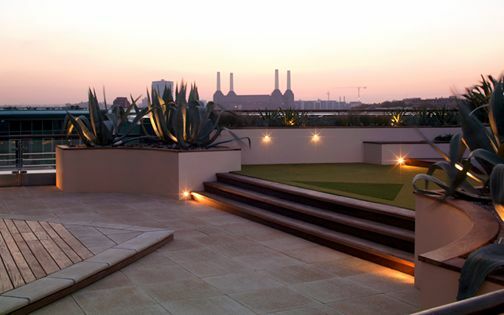 The divergence among terra firma and altitudinous gardening is effectively mitigated by multifunctional homes, architecturally designed to sustain diverse outdoor prospects and microclimates, where many of our London clients enjoy both a garden and a seamlessly integrated roof terrace within contemporary blueprints. 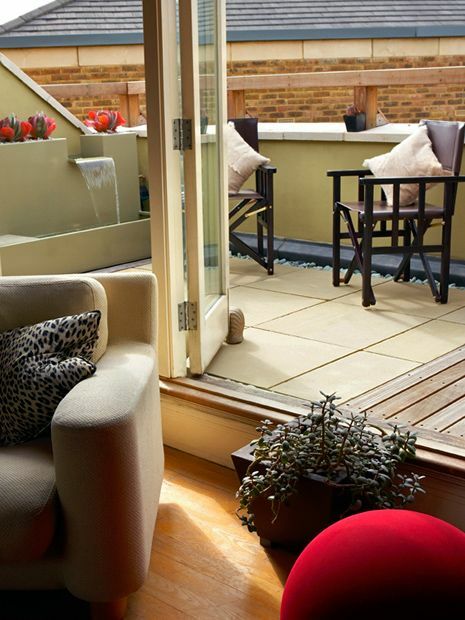 While numerous city pads with designer rooftops maintain habitat during the week, their affiliation alongside weekend country homes inspires and balances this dual lifestyle's interchangeability, when trendsetting roof garden ideology permeates rural abodes, amid clientele's growing penchant for countrified roof terraces – creating a fusion of verdancy, wildlife, design, art and architecture, distilled in London's cultural melting pot. Since LDDC's formation in 1981 and One Canada Square's inauguration a decade later, River Thames and its 70 functioning wharves has been dynamically transformed into one of Europe's major economic hubs, and with Thames Barrier opening in 1984, this 215-mile undulating watercourse is considerably more liveable. 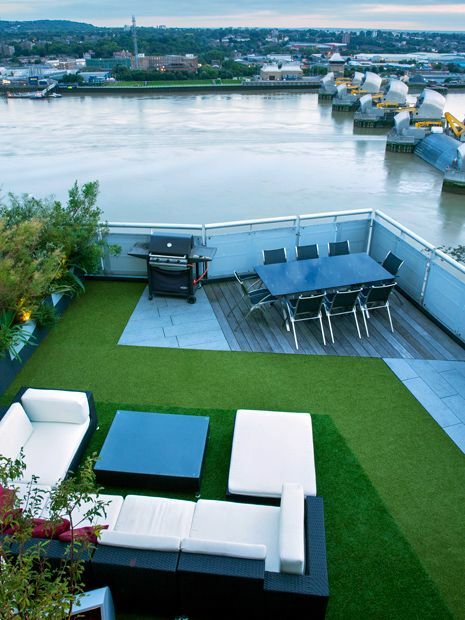 While only 10 percent of the Thames' course passes through our capital, from Docklands to Kingston, Londoners' hankering for riverside living and its abundance of roof terraces is matched by gargantuan developments citywide which fulfil urban demands, and embody architectural eclecticism along Thames riverbanks and their two-millennium civic history. 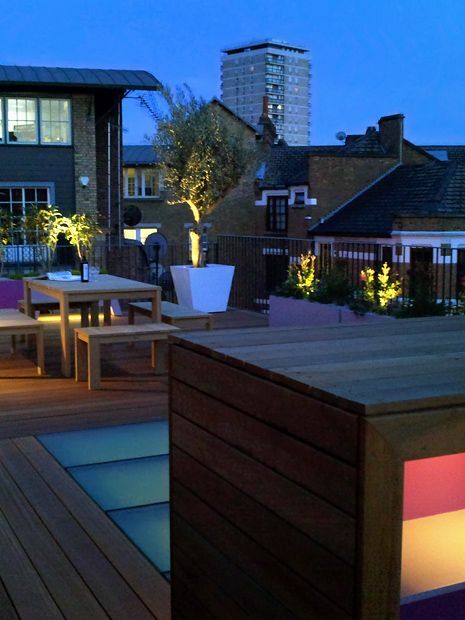 With fierce ongoing deliberations concerning London's vastly altered architectonic make-up, lack of affordable homes, increased pollution, St Paul's protected views, right to light and new properties emerging merely for offshore ownership, our roof terrace designs sustain vital functionality. 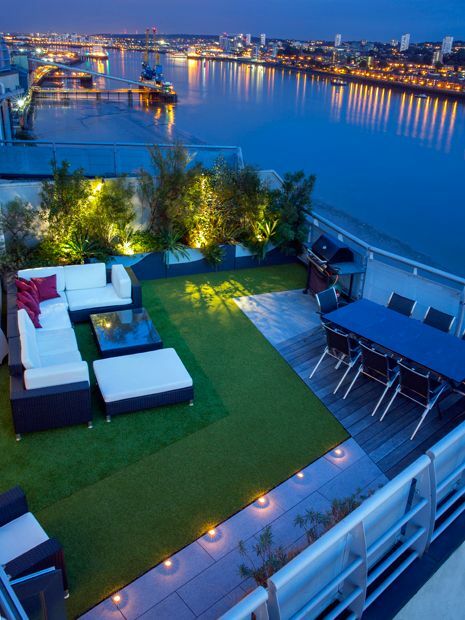 Along a spellbinding waterway and its interwoven matrix of sky roof gardens, the panoramic vistas high up within multifaceted, well-designed rooftop terraces facilitate fluid landscape integration, where wide-open aeriality enables groundbreaking interconnectivity, amid a staggering array of waterside roof terrace apartments – rarely attainable in most city back gardens. 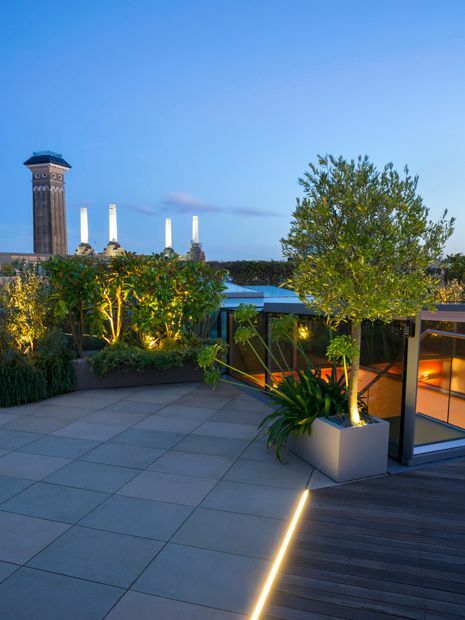 A borrowed landscape takes entirely renewed contexts amid roof terrace locations, not only in its design ethos, but also in our sheer sense of style. 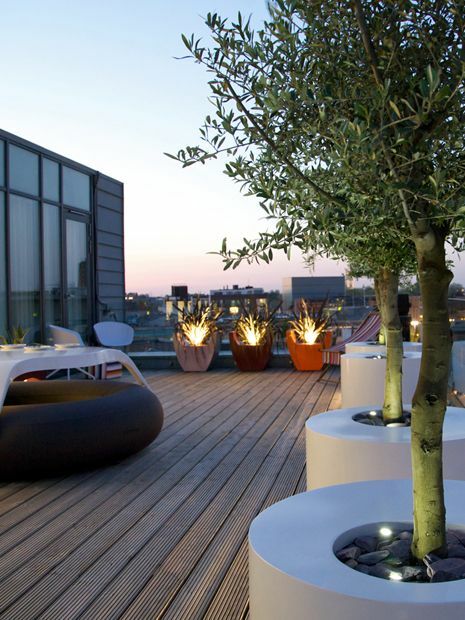 Urban roof terraces yield the most unorthodox lifestyle amalgams in their cultural diversity and versatile embodiment of city living; from intimate sophistication, to bohemian flamboyance and every style refinement in between, the very zeitgeist of this outdoor repertoire is encapsulated in a mutable metropolitan quintessence. 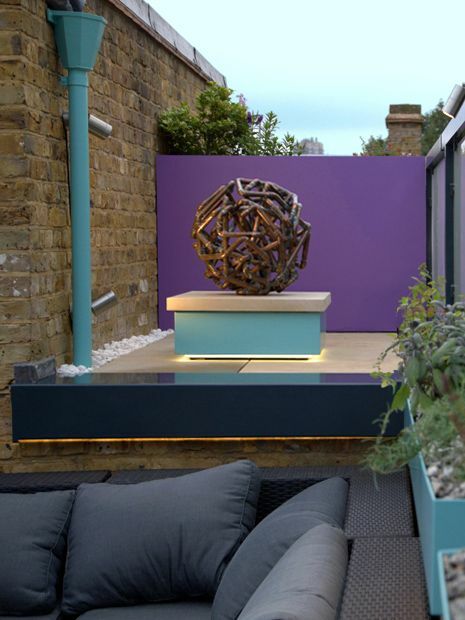 Colour, furniture, geometric planters, lighting design and sculpture in contemporary layouts weave seamlessly with buoyant city backdrops to generate interconnected, multidimensional roof terrace interlayers which reiterate, enrich and inseparably reciprocate with their urban environment. 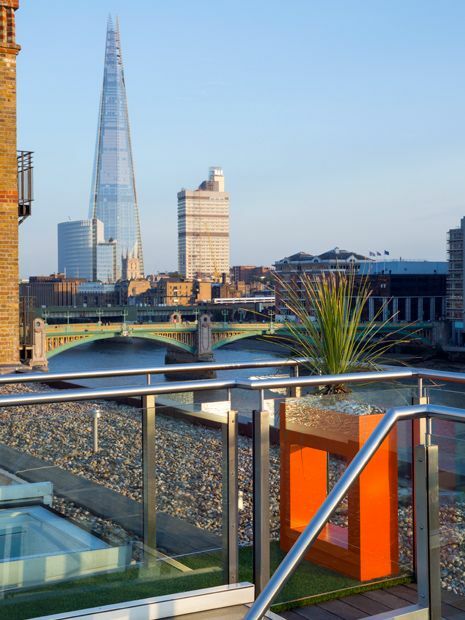 Along each emerging elevation, location and panorama repainting London's landscape, so do aesthetic ambiences evolve and materialise amid personal style discernment and ephemeral fashion nuances – balanced by vitalising roof terrace garden innovation. 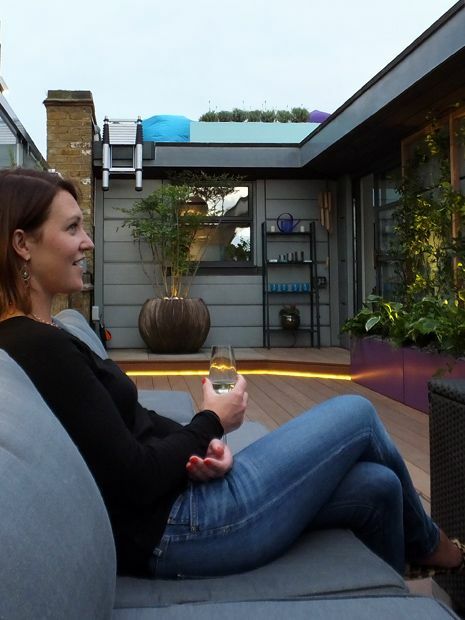 Roof terrace living steers pioneering garden design trends, where indispensable necessities, both practically and socially, maximise use while integrated into low maintenance terrace frameworks. 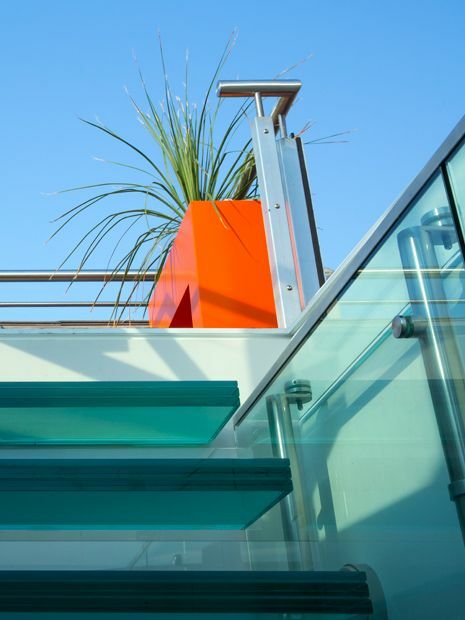 Yet, roof terraces' autonomous discreteness and exclusive sightlines, largely exposed to the elements, require insightful design savvy coupled with engineering nous to produce liveable platforms. 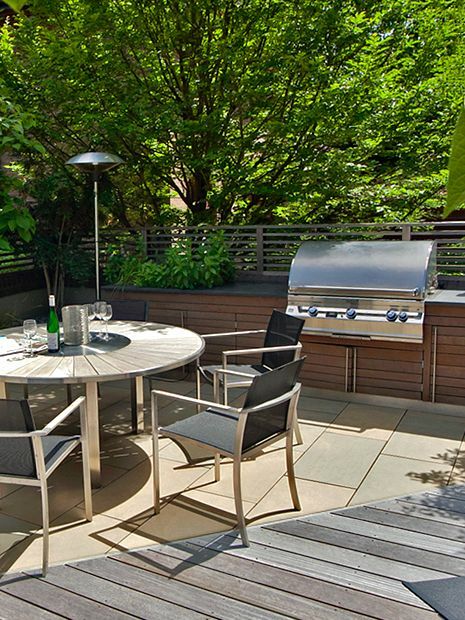 This unique sense of place, when juxtaposed with usable amenities, shelter and intimacy, sustains an engaging outdoor lifestyle above the urban treeline, and while resourcefully outfitted with seating, built-in kitchens, heating, water features and landscape lighting, the ultimate roof terrace living we choreograph portrays outdoor freedom like no other private garden space in the city. 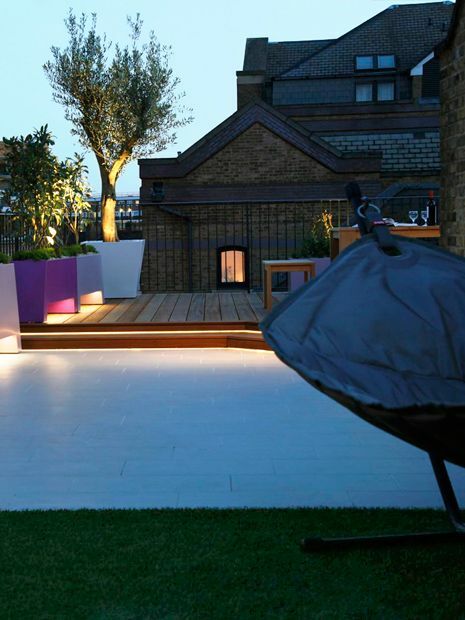 No other type of roof terrace presents greater indoor-outdoor fluidity than a penthouse roof garden, and when the private lift door opens out into a spacious, bright, open-plan living space, enveloped by a sumptuous roof terrace, the modern design ethos is at its best while on a par with this distinct architectural model. 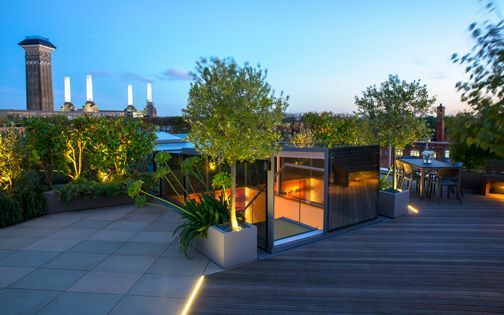 Inspiringly, our first-ever commission, designing a roof terrace for a 12th floor penthouse apartment overlooking Hyde Park, entailed such spatial philosophy, and this all-encompassing mindset continually evolves to focus on the integral qualities of modernised urban outdoor spaces. 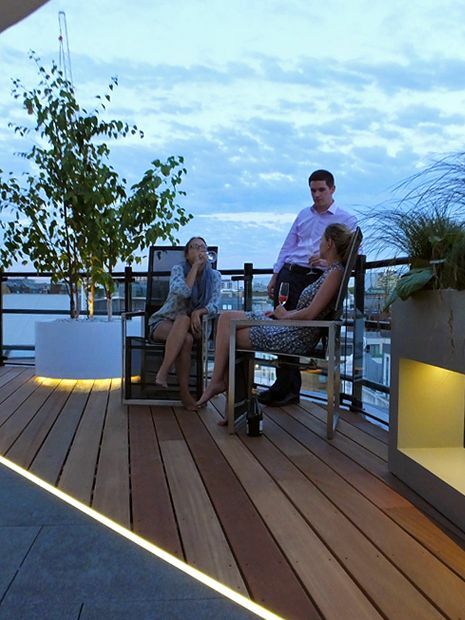 Penthouse apartments invariably present abundant design details, inherently personalised, displaying our clients' incisive approach to modern city living, and this lifestyle outlook manifests itself across a captivating spectrum of interior design, art and architectural styles – encapsulated in progressive roof terrace designs. 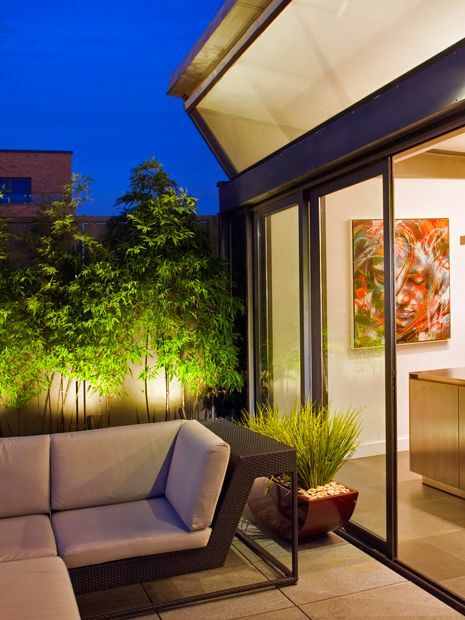 Whether cohesively apparent during an initial visit, from pre-construction renderings or while designing for repeat clients, the interior's distinctive ambience is collaboratively echoed in an embracive roof terrace blueprint, and when a charismatic layout permeates each and every visual aspect of its penthouse residence, the versatility of a forward-looking rooftop landscape design defines a truly immersive, long-lasting experience. 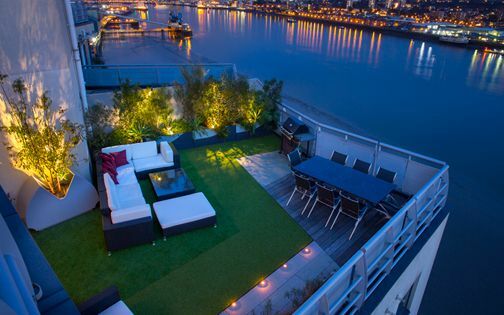 There's a considerable polarity between in vogue outdoor trends and in-situ architectural elements, and while brand-new homes' dernier cri interiors portray sheer decor ephemerality, the roof terraces which enfold them articulate effective sustainability across a multilayered continuum – focally, spatially and visually. 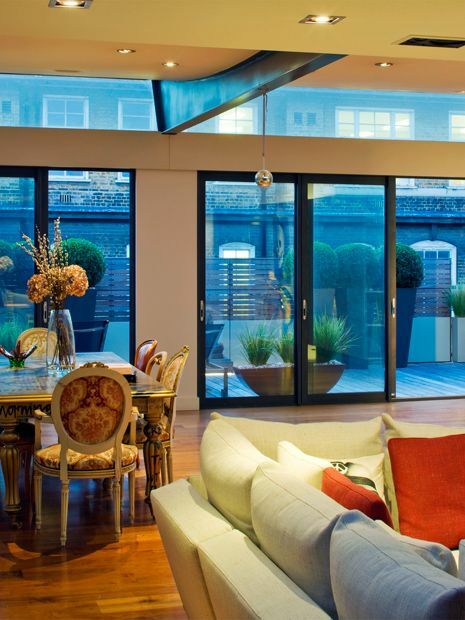 We often take a cue from our clients when seeking personal focal points to delineate rooftop elegance, and London's broad cultural diversity enables a gamut of ideologies and lifestyles, from nonchalant connoisseurs to avid art collectors, verdure lovers to eccentric eclectic gatherers and sheer design mavericks with a discerning eye for detail. 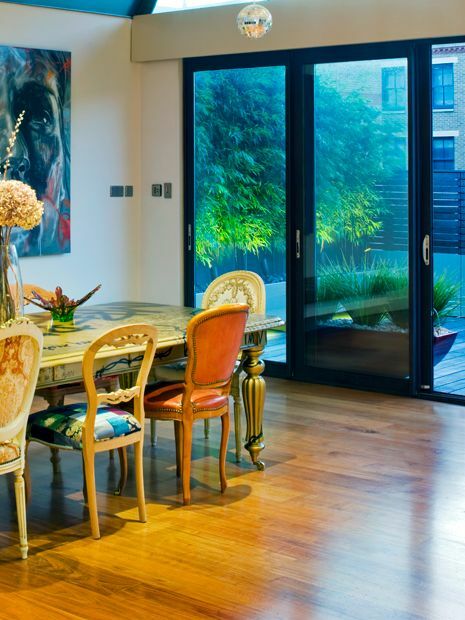 While we envision and construct the core framework in each project, we usually leave furnishing, styling and the finished look to clients, in a reciprocal process which endorses intimate cultural references. Aerially sculpted above London's cityscape, surrounded by iconic landmarks, the myriads of thriving roof terraces epitomise a fast-paced style of living which has metamorphosed mundane sustenance into a thrilling cosmopolitan synthesis, forming a compelling cultural yardstick, high up, out of doors. 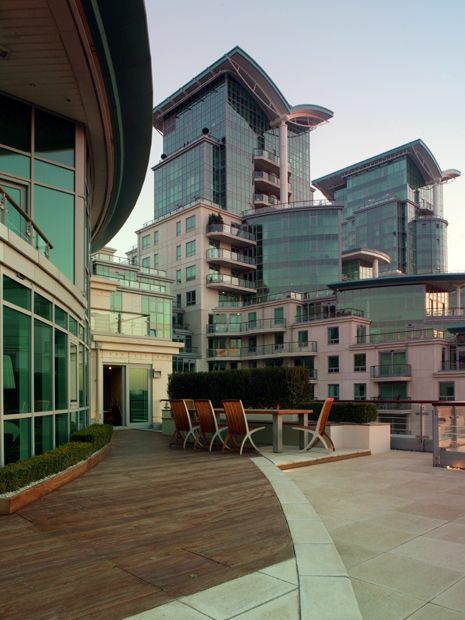 This aspirational urbanised lifestyle, synchronously evolving alongside a sophisticated constructional fast lane, defines cultural subtlety within a perpetually built-up high-rise arena, finessing the sheer seductiveness of a colossal edifice system hardwired to deliver deluxe, hotel-esque, glamorous accommodation with well-balanced originality – a truly integrated rooftop culture. 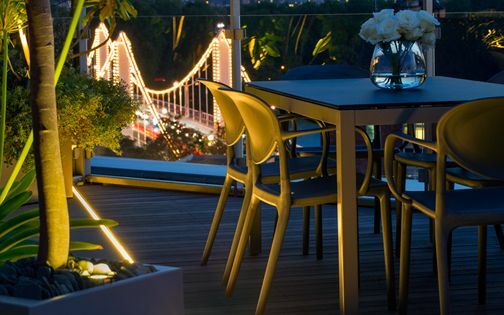 Intrinsically predisposed to outdoor entertainment, encompassing state-of-the-art amenities within zoned exclusivity, the mises en scene generated by individualised roof terraces reflect their owners' personalities, while sustaining sky-high get-togethers among leafy sumptuousness as the new, definitive city hideaways. Rooftop design expressions convey this mentality fervently, where the spirit of art, design, food and music is celebrated, soaked up congruously within exuberant roof terrace settings, and redefines urban sanctuaries into cultural icons of the modern architectural milieu – alleviating our metro's relentlessness with much-needed respite and recalibration. 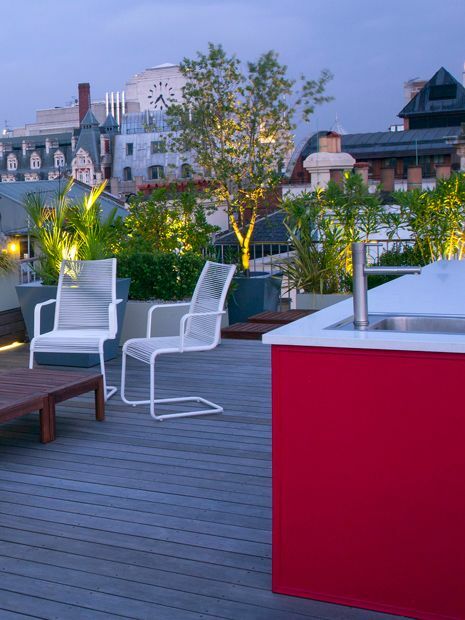 What can be better than a commanding bird's-eye view to provide refuge, perspective and above all, unique roof terrace magnetism as a captivating social focal point? 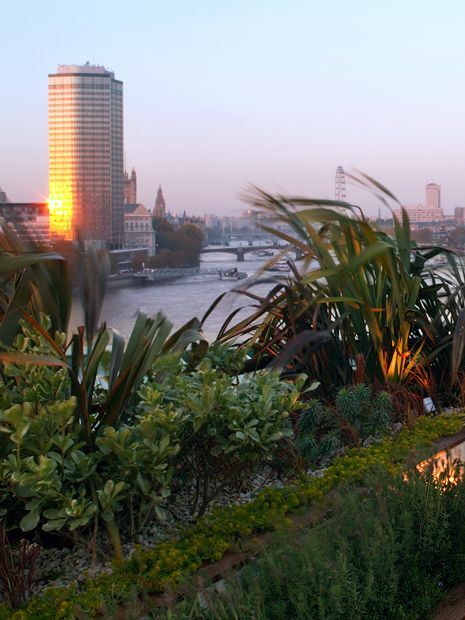 Impromptu socialising amid iconic city landscapes presents many merits, right until the westerlies find their niche, riding Thames' airstreams to reduce roof terrace luxuriousness into a faded prospect. Plant cultivation at altitude extends banal flora spectrums with energising foliage palettes, although at times faced by a fairly breezy microclimate. 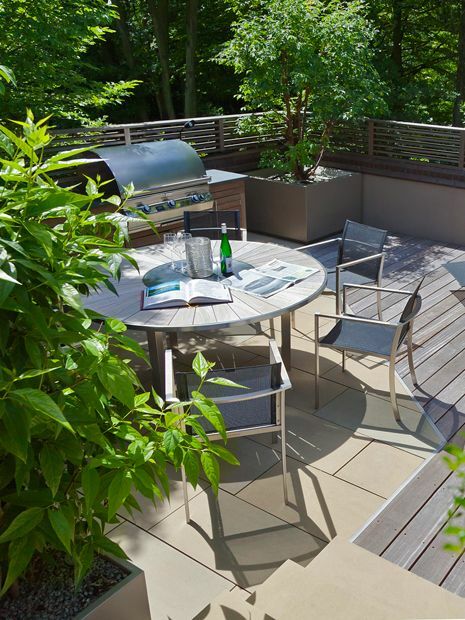 Garden living, juxtaposed along a fervent roof terrace lifestyle, assumes varied approaches, and while simplicity seems to overcome atmospheric obstacles capably, the more intricate, horticulturally inclined planting schemes achieve greater biodiversity, seasonal zestfulness and wildlife friendliness. 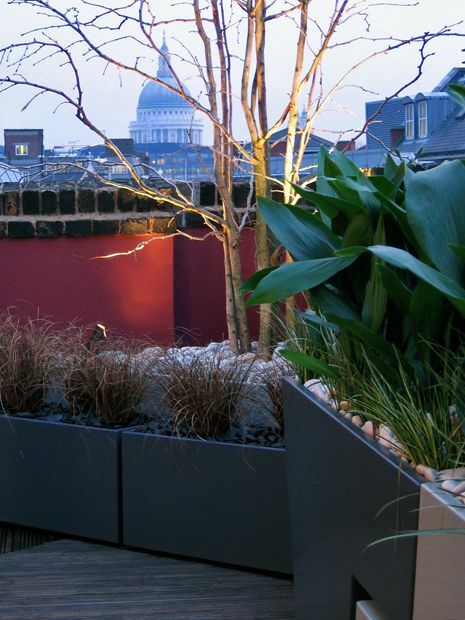 The knack of nurturing thriving roof terrace planting is to form zoned microclimates within local climatic patterns, creating sheltered pockets which enhance verdant ambience amid trying roof terrace climates. 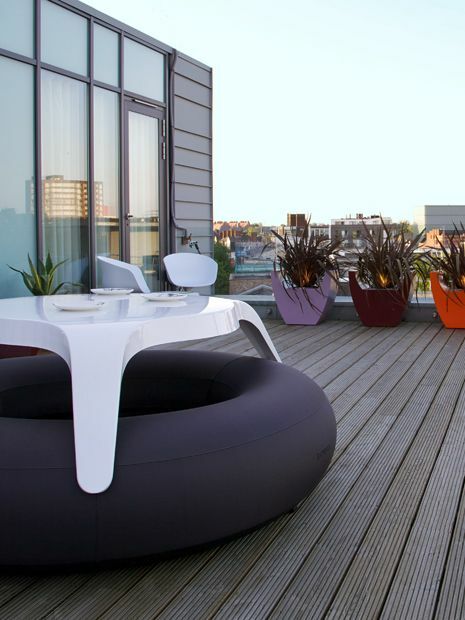 Roof terrace living articulates a passionately urbane sense of style, encompassing wide-ranging cultural facets, from ethnic influences to artistic fulfilment and vegetal offbeatness, where cultivated dynamism conveys new-found urbanity, and goes hand in hand with clean-lined architecture and a pristine mud-free environment. 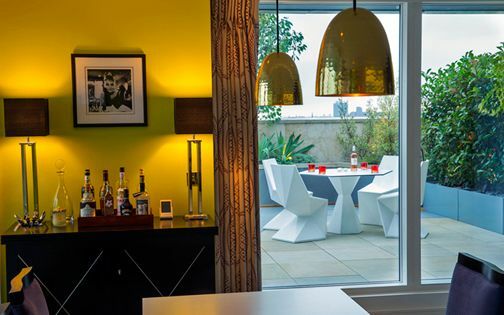 This refined way of life, with views on tap, outdoor spotlessness and standout ambience redefines city home lives profoundly, alongside individual clarity and perceptions of luxury, tastefulness and fashionability. 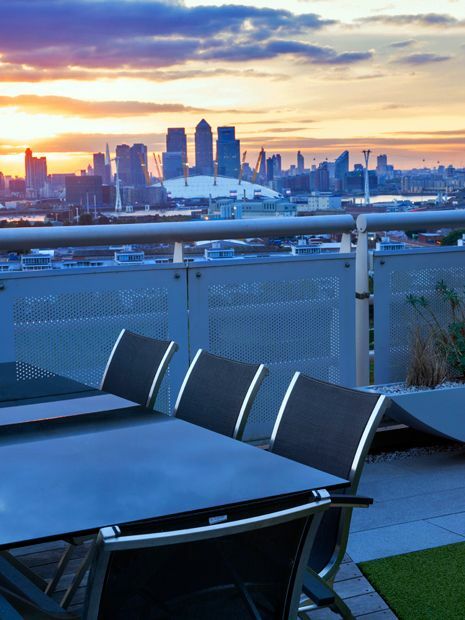 Concurrently, the roof terrace ethos and its multitudinous approaches generate a far more breathable urban milieu across sky roof gardens en masse, while sustaining insightful diversification in an overly streamlined city fabric. 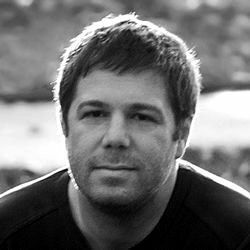 Cultural savviness, augmented by horticultural acumen, seems to form a renewed urbanscape, interspersed with vitalising pockets of verdancy – paramount in diversifying natural resources and aesthetically humanising a concrete continuum. 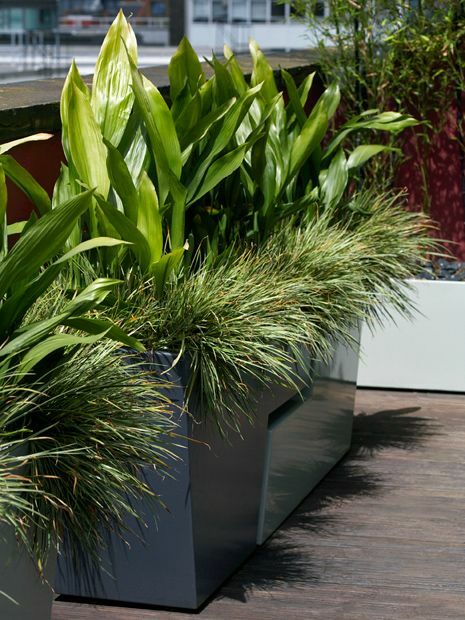 For us, the prime elements which define a roof terrace lifestyle most essentially are living plants, and the planting vessels which sustain them inspire fresh, innovative architectural designs. 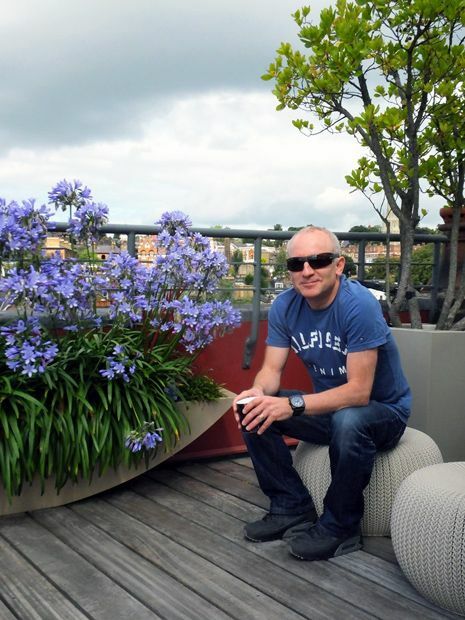 Wind resistance, logistic access, weight considerations, automatic irrigation, efficient drainage, comfy seating and handy cooking facilities all form pivotal roof terrace essentials, yet the seaside ambience infused by coastal floras, adaptable to rooftop garden settings, maintains an engaging resonance. 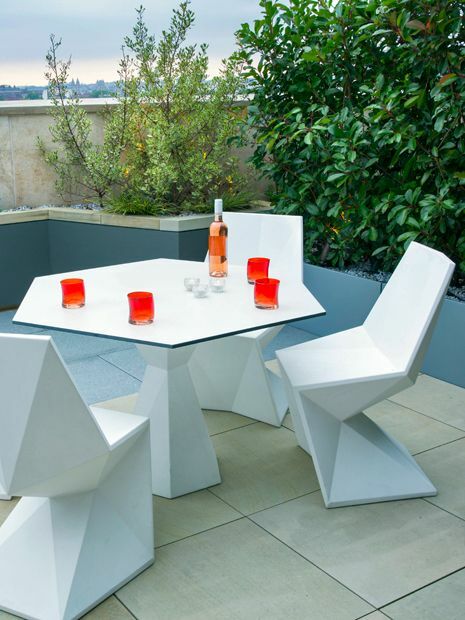 Gravity-defying, soaring rooftop surroundings entail smart, resourceful design solutions, and well-engineered planters delineate luxurious original designs with perpetual on-trend distinction. 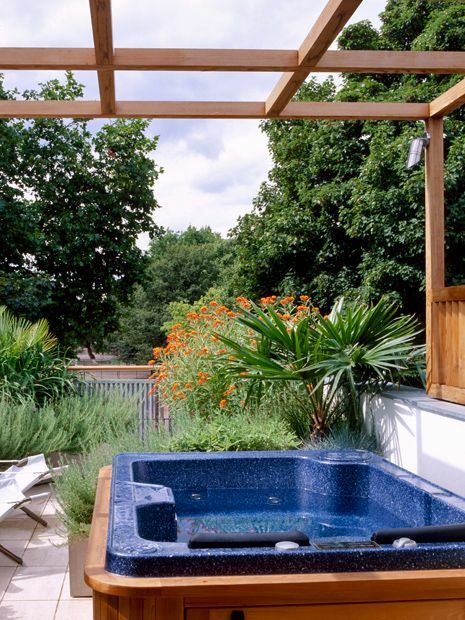 While roof terrace living focuses primarily on the social aspects of contemporary outdoor life, its underlying minimal upkeep ideology and lighting essentials permeate the entire garden design ethos. 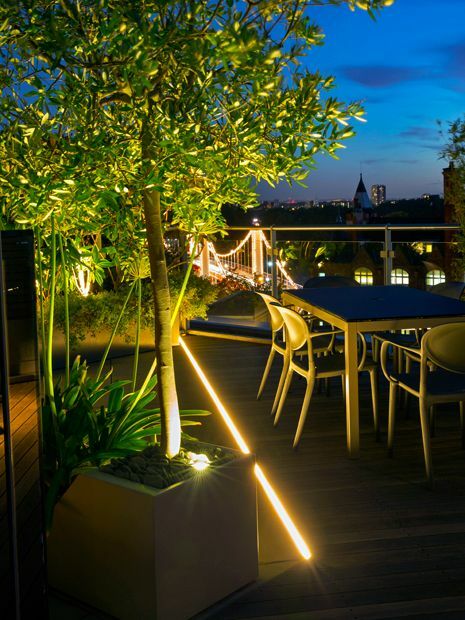 With vast architectural arrays of plants, rooftop planters and landmarks, an imaginative, synchronous lighting scheme reinvents roof gardens after nightfall, echoing London panoramas in a seductive reciprocation of standout focal points and silhouetted tree canopies. 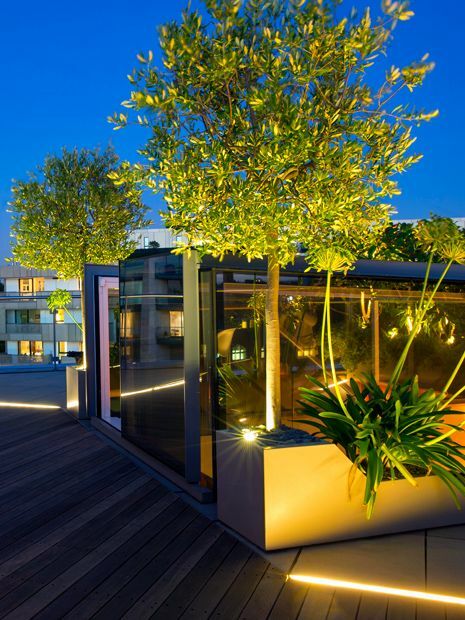 Well-lit rooftop environments accentuate daytime design substance following dusk, effortlessly highlighting roof terrace style by night, while extending serviceability and entertainment factors across London's skyline. 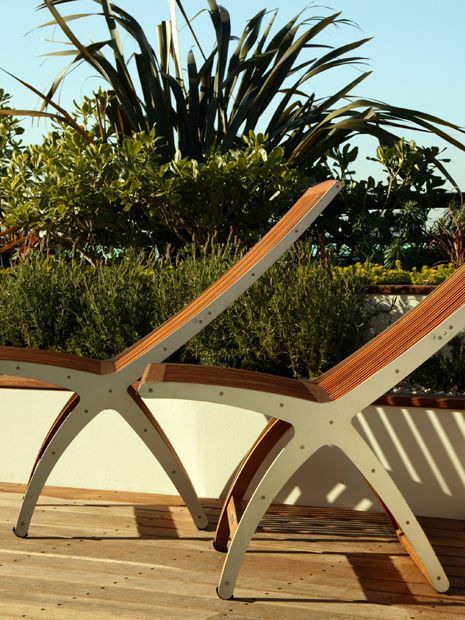 Life amid a roof terrace landscape engrosses daily city living with a sense of anticipation, where ascending to the outdoor space unveils garden vistas gradually within a dynamic sequence, leading out into a private retreat in sheer contrast to its locale. 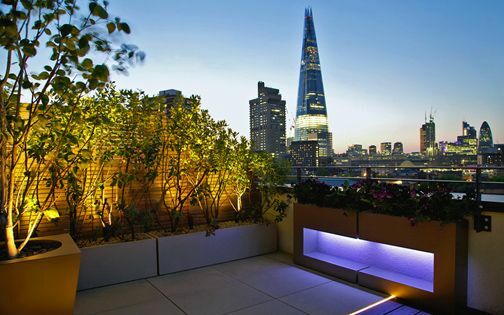 The loftier a rooftop is perched above London's skyline, the steeper the peregrination to its doorway, rewarded by a deeper perspective and empyrean quietude – deriving exclusive yet surreal tranquillity. 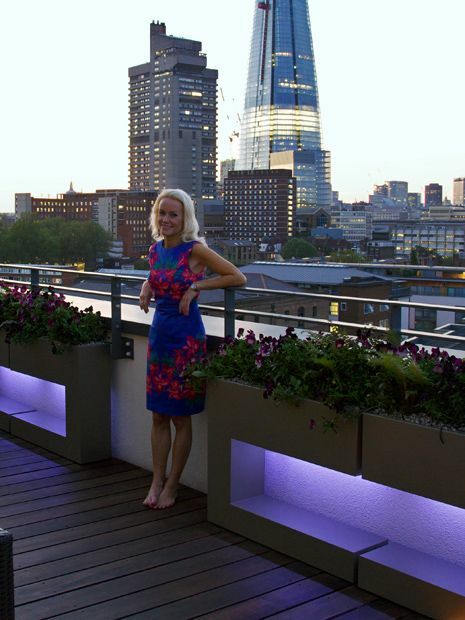 Roof terrace lifestyle trends revolve around this urban premise, when London clients often enjoy holiday house swaps by virtue of a well-located rooftop garden with spectacular views, further utilised as a sought-after filming location and even private hire. 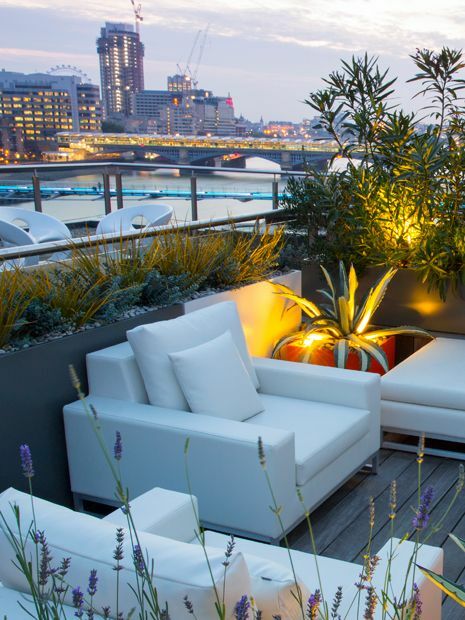 Trendsetting rooftops are part and parcel of present-day metropolitan living, universally interlinked – oscillating trending outdoor design concepts across London's clustered horizon.